War, famine, disease, and violence prevailed in Europe. Death danced across the European stage and the German artist Hans Holbein the Younger (c.1497-1543) captured a visual truism: Death accosts all manner of people; no one escapes his grasp. Many folk prayed and undertook activities that they hoped would lead to an improved life on earth and, God willing (divine judgment), gain entrance into Heaven. Here is Holbein’s ‘Der Münch’ (The Monk): the holy man tries to ‘do a runner’, but Death catches him by the cowl. 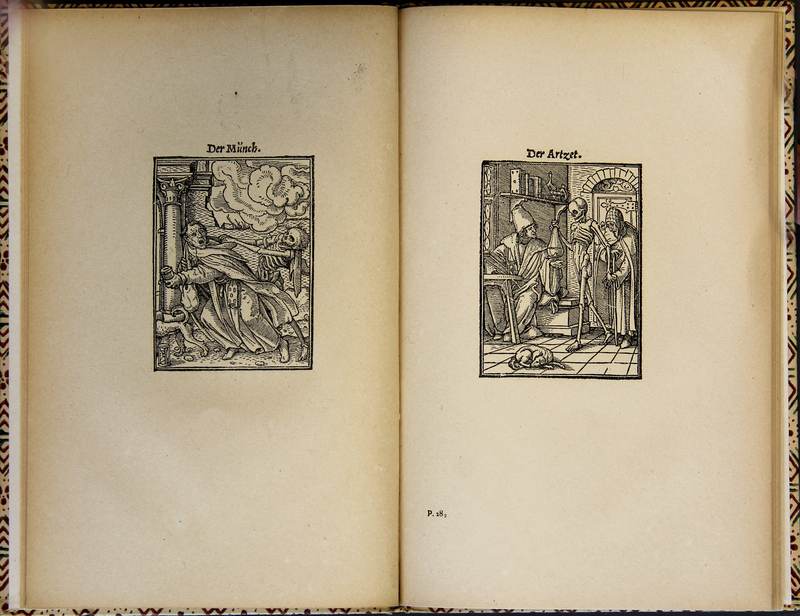 Hans Holbein, “Bilder des Todes,” ourheritage.ac.nz | OUR Heritage, accessed April 26, 2019, http://ourheritage.ac.nz/items/show/10323.